Happy Wednesday. It's time for a new outfit post. Today I decided for a, as I think, French look. 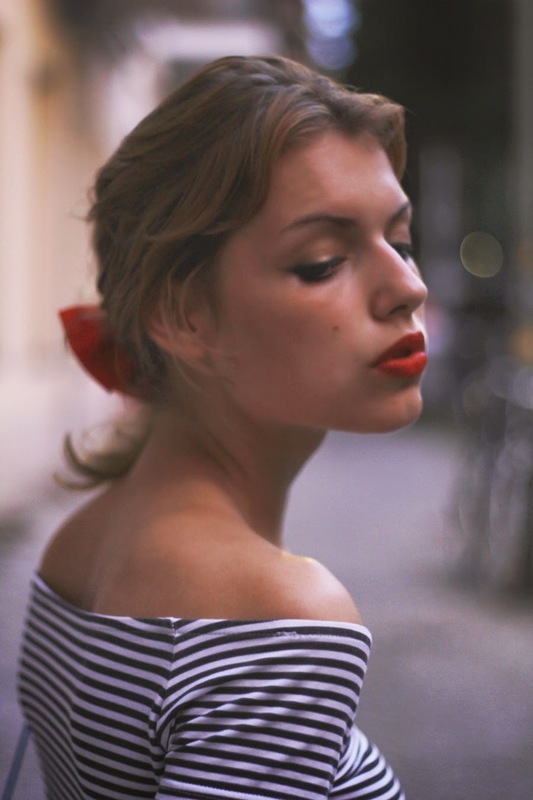 I think on these photos I literally look like a little Parisian, don't I? We shot this look in the late hours since you guys liked the other night shootings. I really like how the lights pop up in the photos at night, they are really intensive. 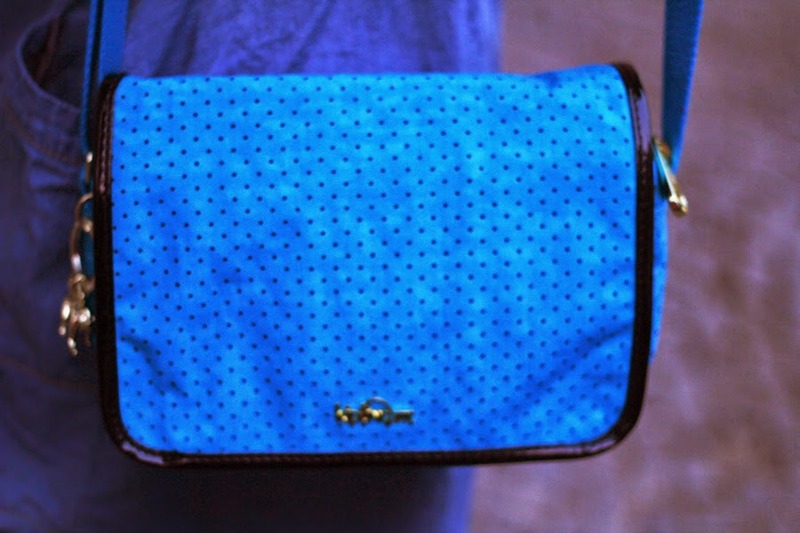 I wore my blue Kipling bag again, which has become one of my favorites, since it has the perfect size, my favorite color and looks just so cute. The skirt is a key item I found at C&A long time ago and the crop top is H&M. 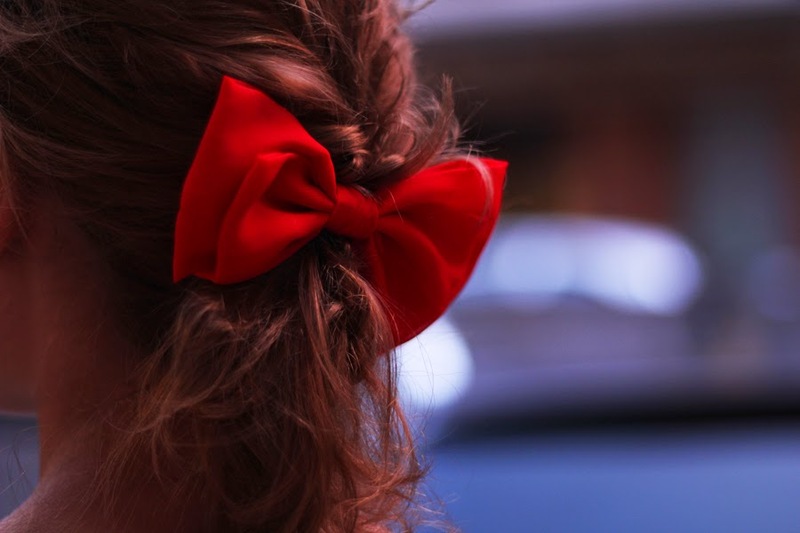 On top I have this cute little red bow which I found at Designer Outlet Wolfsburg at the Accessories shop. I hope you like my look and see you tomorrow for a post in which I will reveal one of the BIG projects, coming closer and closer..
great look! im loving the skirt! Du siehst wirklich aus wie eine Französin und die Fotos sehen echt toll aus. Der Look ist toll und passt hervorragend zu dir. Das letzte Foto ist wunderschön! Wie aus einer Parfum- oder Make-up-Werbung! Absolut wie eine Pariserin aber dennoch nicht so typisch schwarz weiß rot sondern mit dem blau kombiniert...gerade das macht den look dennoch so speziell!